How Fast Is 5G Vs 4G? Have you been hearing a lot about 5G vs 4G, but not entirely sure what it is? 5G is going to be the next generation of cellular connectivity. It will replace 4G LTE technology, as it’s more efficient, faster and has better signal strength. The need for something better than 4G LTE is because of how crowded that cellular band is getting — there are millions upon millions of devices operating on it, and more is being added everyday. It’s getting super crowded, and so there’s the need for something that is capable of handling all of those devices. Follow along below, and we’ll dive into what 5G technology is and compare 5G vs 4G, the speed differences and how consumers everywhere will benefit from the upgrade! Right now, 4G LTE technology is only capable of using lower frequency bands. Right now, it can only operate up to 6GHz, whereas the radio bands that 5G will be able to handle will be anywhere between 30GHz and 300GHz. It’s a huge upgrade, and it will bring huge improvements to mobile device use. Since it can operate at such a high frequency, consumers will get massive speed increases, and this is because it has the support for a huge capacity of data. Not only that, but these radio frequencies won’t already be crowded with existing devices — 5G will be entirely new, meaning it will free up tons of bandwidth. 5G will also work in a directional way, meaning you won’t get signal interference if you’re standing next to other wireless signals. On the other hand, 4G technology shoots radio signals in all different directions, so with 5G, you’ll get something more intentional and efficient. In addition, because of the way 5G uses wavelengths, it will be able to provide super fast data speeds to a lot more people. Current testing and research shows that it will be able to handle up to an additional 1,000 devices per meter. That’s a ton of extra devices it can handle. As we’ve mentioned a couple of times already, one of the great things about 5G technology is just how much faster it is. In current development, 5G is reaching speeds that are twenty times faster than 4G LTE. 4G LTE has a peak speed of 1GB per second; 5G is able to achieve speeds of 20GB per second. Keep in mind these are peak speeds; actual everyday speeds will depend on a number of factors, such as location, the device you have and whether you’re in motion or not. More likely, you’ll get 100MB per second of everyday speeds, whereas 4G currently only offers 10MB per second in everyday speeds. So, this is all nice, but just how will 5G benefit the everyday consumer? You’ll be able to do all the things you’re currently doing, but a lot faster, more efficiently and a lot more reliable. First, consumers should notice that their Internet connection is a lot more reliable. This is because 4G, right now, is super crowded, and because of that, depending on the amount of devices around your home. things can be super slow. With the move to 5G, that bandwidth will free up and be able to handle a lot more devices per meter (up to 1,000 devices). That said, there will be tons more room for your smartphones, tablets, smart home devices (wireless locks, security cameras, virtual assistants and so on. Basically, you won’t have to worry about dropped connections when there’s a ton of devices on at the same time. Not only that, but you could expect 5G to replace your home Wi-Fi connection. 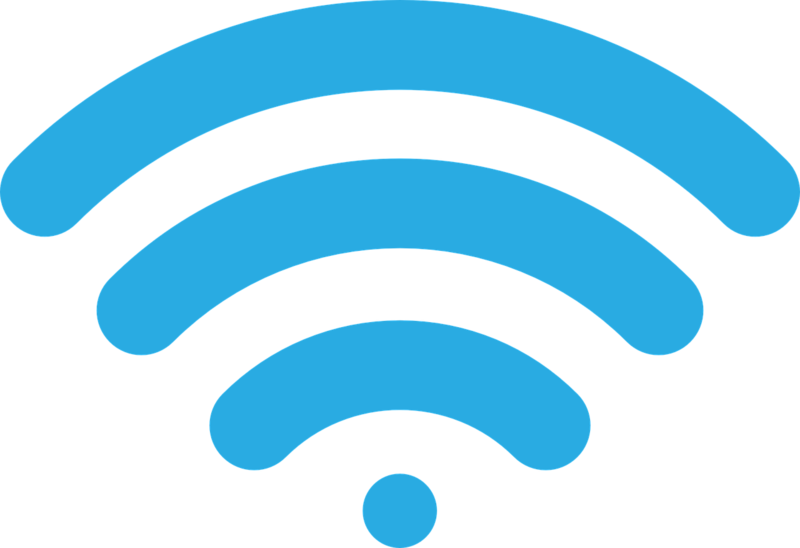 It’s a lot more advanced, faster and able to handle a lot more than traditional Wi-Fi connections. Again, you won’t experience revolutionary changes, but you can expect to do everything you’re doing now, but with a lot more speed and stability in terms of the connection. When can we expect 5G to become available? Most 5G networks are still in development, but some carriers are looking at 2020 for an official release, so about two years from the time of this writing. It may or may not be a little longer, because you will have to have a 5G-capable device to take advantage of this new network, and we’re not sure when those will be releasing, although we’d imagine many manufacturers would try to line up their devices with the release of 5G. You shouldn’t expect to see much cost to move over to 5G either, although it depends on what carriers decide to do with their smartphone plans. The only cost you should experience is a new phone purchase, which has gotten relatively cheap over the years with being able to use device payment plants. That said, you shouldn’t expect to see your smartphone bill changing at all.